Watch full Ginga Eiyuu Densetsu Season 2 Episode 20 English Subbed full HD online. Ginga Eiyuu Densetsu Episode 46 English Subbed online for free in HD. Admiral Yang’s Ark Fleet. On Iserlohn Yang decides to abandon the fortress. Yang realizes that the fortress no longer has strategic value as a choke point defense after the Imperial fleet has broken through Phezzan space. Furthermore, the Fortress would be able to hold out till the end of the war, but would probably be forced back into Empire territory in the event of a peace treaty. 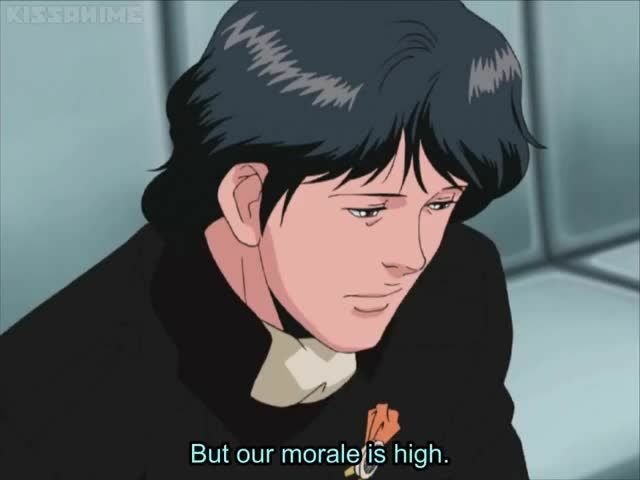 Yang’s fleet prepares bombs and another surprise on Iserlohn and abandons the fortress of all staff and civilians. January 9, 799 S.C. / 490 Reuenthal has retaken Iserlohn fortess.